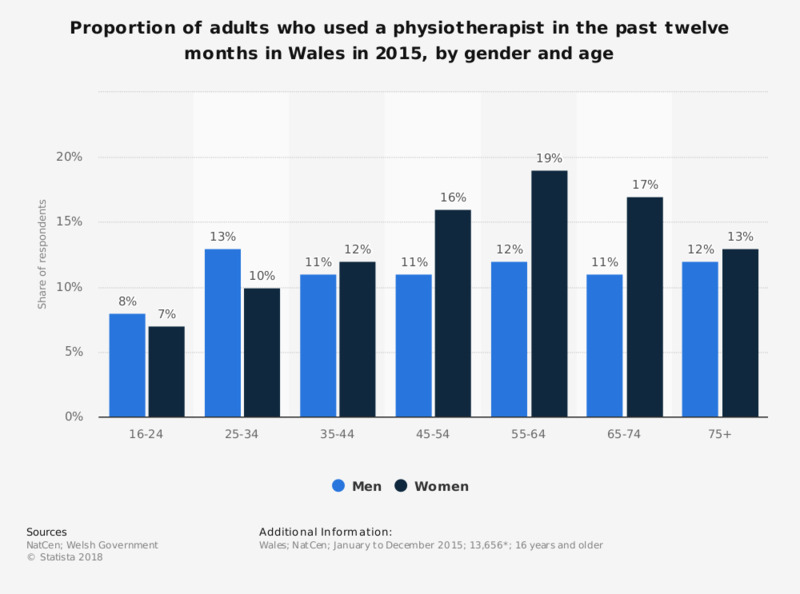 This statistic displays the proportion of individuals who used a physiotherapist in the past twelve months, by gender and age in Wales in 2015. In this year, eight percent of men and seven percent of women aged 16 to 24 years old had been to a physiotherapist in the past twelve months. The source provides the following information: "bases vary: those shown are for the whole sample."